Home Nutrition & Diet What Are the 9 Essential Amino Acids That Every Human Needs? Takeaway: The 9 essential amino acids are: histidine, valine, isoleucine, leucine, lysine, methionine, phenylalanine, threonine, and tryptophan. Consuming essential amino acids is crucial for good health. 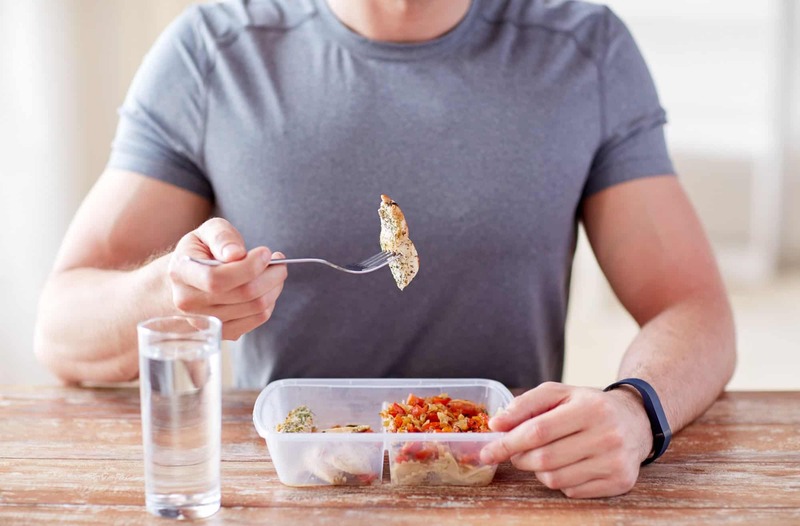 Eating a variety of foods that contain protein each day is the best way for people to ensure that they are getting adequate amounts of essential amino acids. The human body is a complex and intricate structure. Every single part of it, no matter how minute, has a reason for existing and an integral role in the overall performance of our bodies. From the largest organ down to the tiniest particle of a cell, each part is co-dependent and irreplaceable. It’s a basic fact that our bodies are made up of cells. But, if you put a single cell under a microscope, you’ll discover that even something so tiny requires a certain component to function correctly. In this case, protein compounds serve as the cell’s fuel. Our cells need protein to do their task in structuring, functioning, and regulating the body’s tissues and organs. So the bigger question is, how do we get protein into our system? This is where amino acids come in. Every science textbook out there will tell you that amino acids are the “building blocks” of protein. But in fact, they are so much more than just that. Did you know that our bodies can generate thousands of unique proteins from amino acids? Without them, our bodies will be incomplete, and we won’t be able to function as we normally should. How Many Essential Amino Acids Are There? What is the Definition of Essential Amino Acids? What Type of Proteins Contain All 9 Essential Amino Acids? There’s a total of 20 amino acids in the human body. Although they come at varying degrees within our bodies, all of them are still required for us to be considered as someone who is healthy and fully functional. All 20 amino acids have a unique structure and a distinct function within the body. They help in producing energy and in developing neurotransmitters and hormones – just to name a few of its many tasks. However, only 9 out of 20 are considered to be essential amino acids. The 9 essential amino acids are as follows: histidine, isoleucine, leucine, lysine, methionine, threonine, and tryptophan. A lot of people make the mistake of focusing too much on these 9 essential amino acids alone. But in truth, they are no more important than the other 11 amino acids. So you might be wondering, why are people so worked up about supplementing themselves with a daily dose of essential amino acids? Why are those essential amino acid supplements so popular nowadays? There are plenty of reasons why. 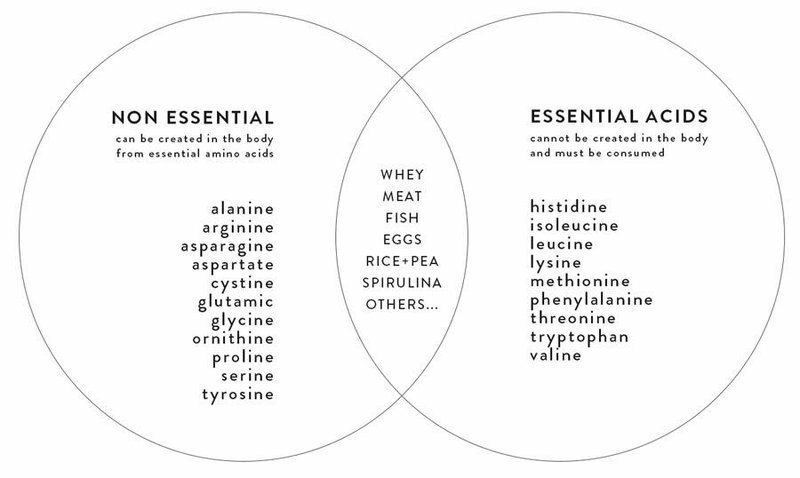 But first, let’s dive a little deeper and get to know these essential amino acids a bit better. Essential acids aren’t labeled as essential because they are far more important than the others. Simply put, these are amino acids that your body cannot create on its own. The only way to procure these amino acids into our bloodstream is through consumption. A healthy diet is a great way to supply our bodies with the required amount of essential amino acids. Eating certain types of food could also help in increasing the amount of a certain amino acid. Consuming soy, black beans, and quinoa, for example, can supply one’s body with lysine. Cheese, peanuts, and vegetables are excellent sources of valine as well. Essential amino acid supplements are also recommended for those who have food allergies and dietary restrictions. These supplements are quite popular especially among vegans who have trouble attaining the proper level of essential amino acids in their diet. All 20 amino acids are important. But, because of how essential amino acids are attained, people tend to be more concerned about them in comparison to non-essential amino acids. While non-essential amino acids can reproduce itself naturally, essential amino acids need our careful attention and discipline with our diets. Essential amino acids are called essential, plainly because they are a requirement in one’s daily diet. Our bodies utilize them to create new proteins on a regular basis. And so, our bodies would also need a continuous supply of essential amino acids to facilitate numerous bodily functions. Non-essential amino acids, on the other hand, don’t involve any human effort to be produced. Amino acids such as alanine, arginine, asparagine, aspartic acid, cysteine, glutamic acid, glutamine, glycine, proline, serine, and tyrosine are all synthesized naturally by most of our cells. Therefore, we don’t need to worry much about them as they do not need to be in our regular diet. However, it may good to note that 8 out of the 11 non-essential amino acids are considered to be “conditional.” This means that when the body is exposed to substantial stress or a certain form of illness, it may not be capable of producing enough of those 8 non-essential amino acids. There’s a lot of debate about histidine being an essential amino acid. According to studies, this type of essential amino acid is necessary only to babies and younger children. Histidine encourages the production of blood cells and tissue repair. But, it is mostly known for facilitating growth which is also one of the reasons why it is considered to be a crucial amino acid for younger children. It seems that adults have enough of it, while children do not. The body metabolizes histidine into histamine, a compound that is responsible for improving immunity and digestion. It is also an essential compound in enhancing reproductive health and the quality of sleep. According to studies, those with low levels of histidine are prone to anemia. To counter this, a diet filled with meat, fish, and poultry is recommended. Valine is one of three essential amino acids that is classified under the Branched-Chain Amino Acids (BCAAs) category. This category refers to amino acids that have aliphatic side-chains with a branch in their atomic structure. BCAAs attribute 35% of essential amino acids in our muscles and are primarily responsible for muscle growth and repair. Other than promoting optimal muscle health, valine is also known to supply our muscles with enough glucose during strenuous physical activity. Glucose produces our bodies with energy which, in turn, improves our endurance and stamina. To get a good quantity of valine in your diet, it is best to include red meat, chicken, broccoli, spinach, legumes, chia seeds, and fruits like blueberries, figs, and apricots. Isoleucine is another BCAA that is known for its immunity-boosting properties. It regulates our energy levels and the body’s blood sugar. It also facilitates hormone production, but it is best known for its effectivity in healing wounds and muscle tissue. Researchers claim that older adults tend to have isoleucine deficiency, causing muscle wasting and shaking. However, this does not discount the fact that younger adults may also be prone to isoleucine deficiency. A healthy diet containing meat, poultry, fish, cheese, eggs, and nuts is a great way to sufficiently supply the body with isoleucine. Leucine is the last remaining BCAAA, and it is primarily responsible for stimulating muscle growth and strength. While the essential amino acid valine supports the body by enhancing endurance and stamina, leucine retains our lean muscles when dieting. Leucine is also the main amino acid that activates a muscle compound called mTOR (mammalian target of rapamycin). The mTOR is essential in facilitating protein synthesis within our bodies. Apart from this, leucine is also a great blood sugar level regulator and a moderator of insulin during and after exercise. To provide your body with a good quantity of leucine, it is recommended to add cheese, meat, pumpkin seeds, peas, and seafood – particularly tuna. Whey protein and plant proteins are also great sources of leucine. Like other essential amino acids mentioned above, lysine is also responsible for maintaining optimal muscle health, particularly in growing and repairing muscles. It also boosts the body’s immune system, helping us fight disease-causing bacteria and viruses – but that’s not all. Lysine also supports the body in absorbing minerals and in synthesizing collagen, an essential component in forming connective tissues in our bones. Food sources like eggs, beans, spirulina, chia seeds, avocados, and whey protein are packed with lysine. It is crucial to have the right amount of lysine in the body to prevent anemia and other metabolic disorders. Blood vessels are an indispensable element within our bodies. It helps blood circulate to different parts of our body, and it is a requirement in keeping our circulatory system in good shape. Methionine helps the body in growing new blood vessels making it one of the most crucial essential amino acids to include in our diets. Methionine also contains sulfur, a necessary chemical that aids in tissue repair and muscle health. Methionine insufficiency may cause damaged tissue, arthritis, and difficulting in healing wounds. Apart from this, methionine, together with the non-essential acid cysteine, is also known to play an important role in keeping our skin and hair healthy. To keep the right amount of methionine in our body, try adding brazil nuts, cacao, dairy, fish, whole grain rice, and figs into your daily diet. Compared to other essential amino acids that are more focused on the physical aspects of the body, phenylalanine dramatically impacts one’s mood and mental health. This amino acid transforms into the amino acid tyrosine within our bodies. This amino acid is required to create proteins and brain chemicals like L-dopa, norepinephrine, epinephrine, and thyroid hormones as well. To keep healthy levels of phenylalanine in our bodies, consuming milk and dairy, spirulina, seaweed, leafy greens, berries, and raisins are recommended. Threonine is primarily responsible for maintaining the body’s muscles and bones. Without the required amounts of threonine in the body, our bones become fragile. Muscle injuries may also heal in reduced speeds. Apart from this, threonine is also a required element in producing glycine and serine – two amino acids that are needed to produce collagen, elastin and muscle tissue. Overall, it keeps the liver, heart, and central nervous system in good health. For a complete and healthy diet, lean meat, soybeans, almonds, hemp seeds, watercress, lentils, and spirulina are all good sources of threonine. Similar to phenylalanine, tryptophan also focuses on maintaining our mental health. When tryptophan enters our body, it transforms into a chemical called serotonin. This chemical is a neurotransmitter that enhances the mood by lowering stress levels and depression. According to many studies, tryptophan is also known for promoting better quality sleep. It is said that serotonin contains certain components that have a relaxing effect on the body. For those who are under a lot of stress daily, increase your tryptophan levels by consuming chocolate, bananas, yogurt, and spirulina. Nuts and seeds like almonds, peanuts, and sunflower seeds are also excellent sources of tryptophan. 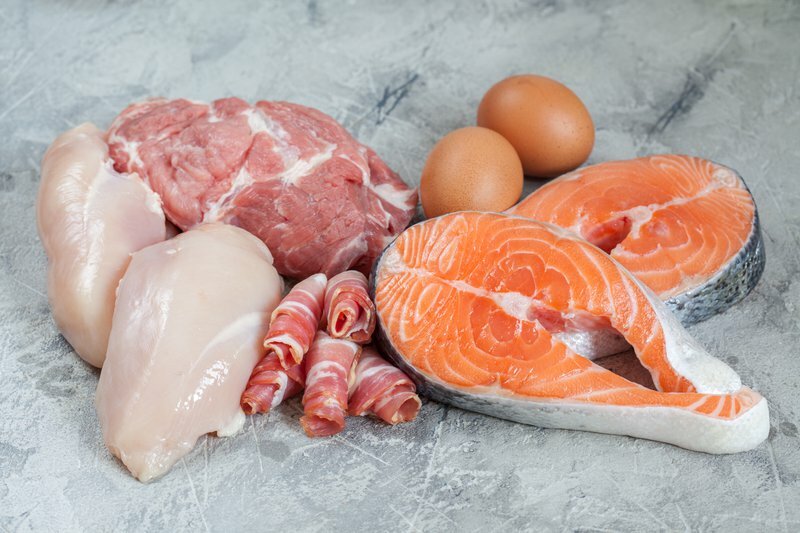 Proteins derived from animal sources like red meat, fish, and poultry are some of the best examples of food sources that contain all nine essential amino acids. Unfortunately for vegans and those with diet restrictions, there are only a handful of complete vegan proteins. But, all hope is not lost as there are now amino acid supplements that can very well provide the body with sufficient amounts of amino acids daily. Essential amino acid supplements have recently become very popular with many people claiming how effective they are in curing insomnia, decreasing anxiety, and promoting weight loss. These supplements are also a godsend for vegans and for those who cannot consume animal-sourced complete proteins. Today, amino acid supplements come in many different forms, from pills to powders and smoothies. And, with many options out there, it can be tough to choose just one. The best essential amino acid supplements should not just have the complete list of essential amino acids in the right amounts, but it should also accommodate your other needs. Some products may have higher carb content while others may also contain caffeine. Also, following the proper supplement intake is crucial in attaining the best results. Although essential amino acids are proven to be safe for consumption, an overdose may result in weight gain, constipation, and in severe cases, it may even lead to kidney disorder.